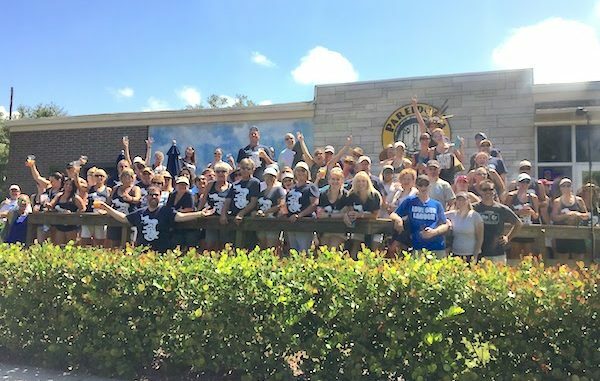 Sebastian's Great Bike Bar-A-Thon began at the Pareidolia Brewing Co. in Sebastian, Florida. 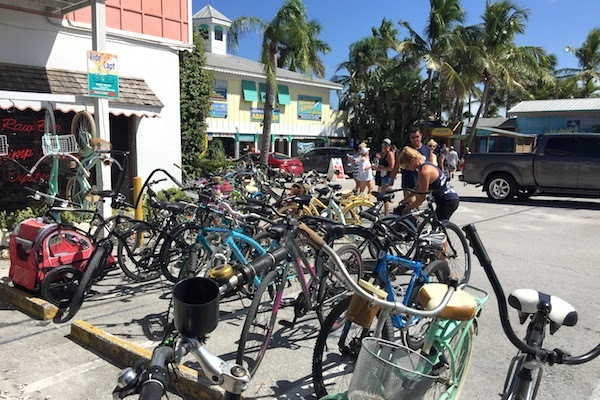 SEBASTIAN – The Sebastian Bike Bar-A-Thon raised $6,500 this past Saturday for the Marine Resources Council. The council is a non-profit organization that helps to restore the fish and wildlife resources of the Indian River Lagoon. “I’m a little bit blown away. Together we raised over $6500,” Chris Russell, who runs the Bike Bar-A-Thon, told Sebastian Daily. “I’m still in a bit of shock. 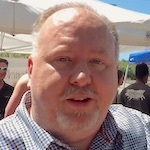 I figured that we could hit our $4000 goal but never imagined that we’d blow it out of the water like we did,” Russell said. Capt. Hiram’s was the fourth stop during the Bike-A-Thon. Bicyclists started at Pareidolia Brewing Co. and rode to Mash Monkeys Brewery Co., Capt’n Butcher’s, Capt. 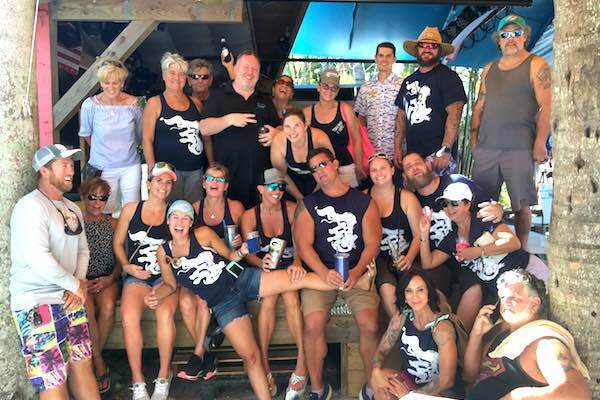 Hiram’s Resort, Crab Stop of Sebastian, Earl’s Hideaway Lounge, Pelican Pub, and Tiki Bar & Grill. 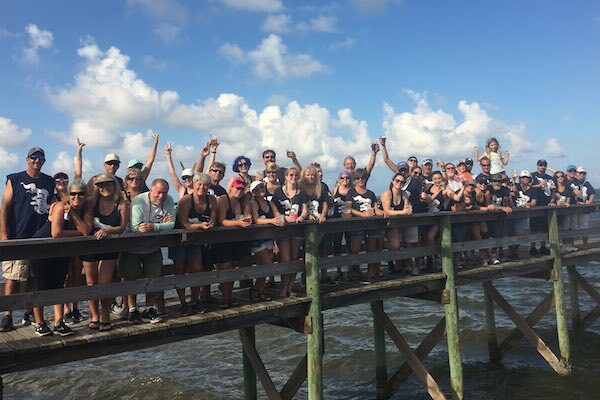 Sebastian’s Great Bike Bar-A-Thon is a Pub Crawl to raise funds and awareness about saving the Indian River Lagoon. The fun-filled charity event was open to the general public. 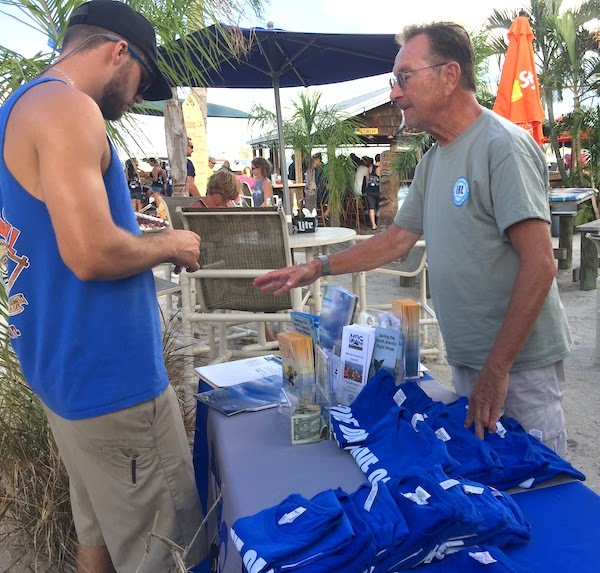 All funds for the Marine Resources Council are brought in through the event’s t-shirt sales. The next Bike Bar-A-Thon will be sometime in late April 2019 to benefit HALO Rescue No-Kill Shelter. Some of the bicyclists at Capt. Hiram’s getting ready to leave for the Crab Stop, Earl’s Hideaway Lounge, Pelican Pub, and then Tiki Bar & Grill. 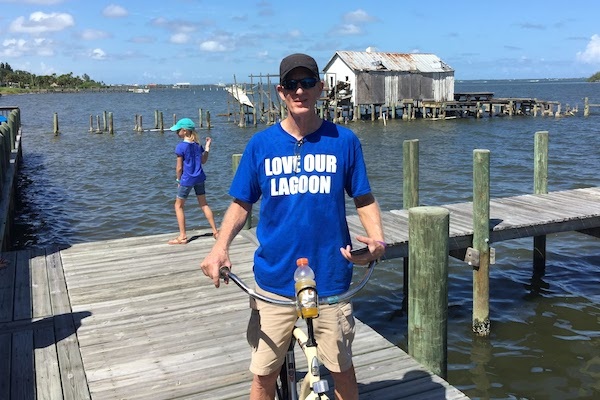 Save The Lagoon t-shirts at Tiki Bar & Grill.